It involves in Research, Development & Manufacturing of eco-green environment products. All product development are based on botanical extracts. 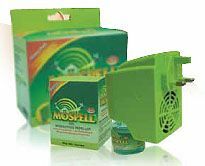 The products are currently branded as A’Fresh®, Airepeutic® & MOSPELL, The products are for Air Revitalising & Insect Repelling.